Speakers at IFOG2013 last week were asking how game designers can tap into the unrealized potential of interactive storytelling. Computer scientists and designers often approach this question by looking at story-like game examples, like this year’s popular transmedia game, The Walking Dead . But it is also worth looking at it from the reverse direction from “harbinger” artifacts (as I call them in Hamlet on the Holodeck) , i.e. books or films or theatrical plays that seem to be outgrowing the limits of traditional unisequential presentation. For example, Kate Atkinson’s inventive novel Life After Life (2013) in which the story starts over again repeatedly like a videogame. By the end of the book, the reader has been offered so many variants on the protagonist Ursula’s life that you would need a flowchart like the one below to describe them. Poor Ursula struggles through a perilous childhood followed by the dangers of World War II in Europe. Her life is filled with the kind of life events that make us wonder what if things had gone differently. It is unusual for a mainstream novel to invite us to indulge in this kind of “what if” thinking, and to use multiple versions of the same event. Atkinson’s story draws on narrative strategies from post-modern literary experimentations (like Borges’s “Garden of Forking Paths,” or Eco’s If on a winter’s night a traveller) and from science fiction parables (like Bradbury’s “A Sound of Thunder” or LeGuin’s Lathe of Heaven). 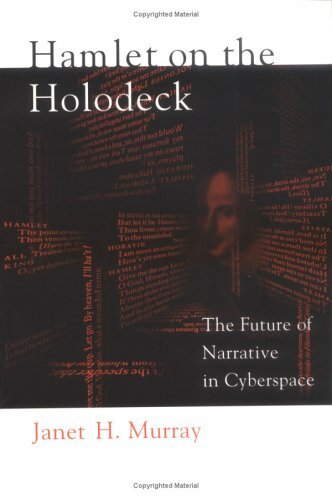 But unlike these earlier works, the novel does not focus us on the subversion of narrative conventions or the mechanics of alternate timelines. Instead, it uses the notion of alternate versions of the same life to explore what life means to a particular woman living through a very realistically and specifically rendered historical time. Replay stories are characterized by complex causality and exploration of chance, and they gain coherence by offering clear parallels juxtaposed with dramatic contrasts. I’ll have more to say about this genre in future posts. Note: updated with revised flowchart (version 3) to include more detail and corrected attribution for Bradbury. This entry was posted in Interactive Narrative, VI Onward with Invention! and tagged Asimov, Borges, Eco, Kate Atkinson, LeGuin, Life After Life, Replay Story. Bookmark the permalink. thank you so much for the flowchart! I am about to start teaching this novel, and this helps immeasurably.